$5000 seems like a lot for a week-long family trip but it's amazing how easy it is to spend way more than on a Disney World trip. Today I have tips for planning a deluxe-quality, 7 night trip for a family of 4 for less than $5000. 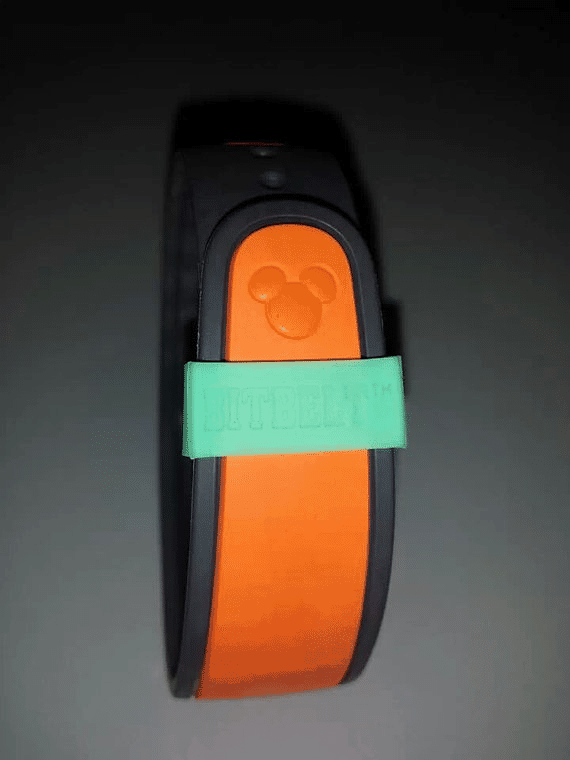 I also have a quick tip to help you keep your MagicBands secure on your Disney World vacation. We're going to assume that we're planning a 7 night trip for a family with 2 adults and 2 kids who want a trip that includes a nice hotel and restaurants but staying under $5,000 total for everything. Step 1: when to go - you can make your money go further by avoiding the most expensive times of the year which include the last 2 weeks of December, the week surrounding President's Day, Spring Break (the second week of March to mid-April usually), the week before and after Easter and Thanksgiving. People traveling in summer can pay a bit less by visiting the last 2 weeks of August. To secure your MagicBand (I lost mine on a recent trip! ), I suggest ordering a Bitbelt for everybody in your group. They come in lots of colors and decrease in price if you order more than 1 ($5.99 for 1, 2 for $10, 5 for $20, etc.). These can be used on various fitness bands (like the Fitbit, Nike Fuel Band) but you'll need to order the larger size to fit MagicBands. Use code "wdwprepschool" at checkout to save 15%. Do you have other questions or thoughts about planning a deluxe family trip? One quick tip if you already have a fitness band (FitBit Vivofit etc) most of them come with more than one of the rubber closures like Bitbelt. This is what we used on our last trip and it worked great! I’m new to all of this Disney planning and this may sound silly, but I thought you had to buy everything through Disney (room and park tickets) in order to do the Dining Plan. Have I been misled??? I have been very interested in the Wishes Dessert Party for a while now but it is the hardest thing to book. Any pointers on how, when or who to call. Disney says all full at 180 days out, but Disney pages don’t even have August 2014 available to pick from. My travel Agent tells me all full at 160 days out- again August is not even an option to book online. 4 months out and everything beyond June 1 are still greyed out so tell me…. Please what is the trick. How do I book this? It’s 60 days, not 160. You won’t be able to book until June if you are going in August.